From Sept. 16 to 22, CASS President Xie Fuzhan led a think tank delegation to visit the US. 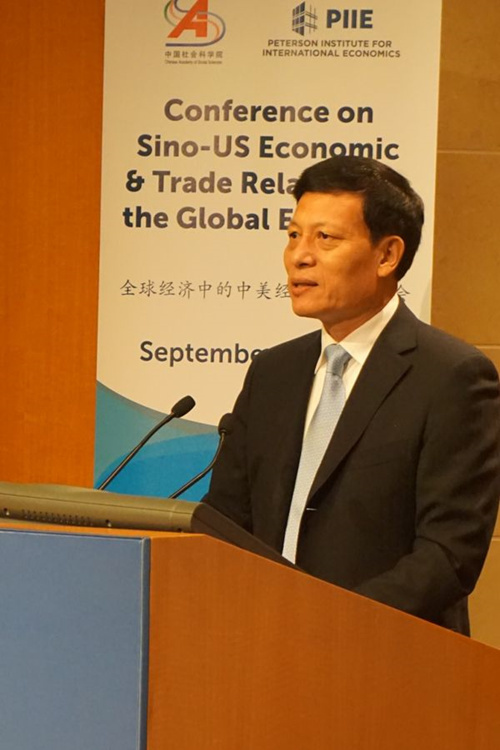 On Sept. 17, CASS and the US think tank the Peterson Institute for International Economics jointly held the conference “Sino-US Economic and Trade Relations in the Global Economy.” CASS President Xie Fuzhan delivered a keynote speech entitled "China and the US Should Safeguard Bilateral Economic and Trade Relations." 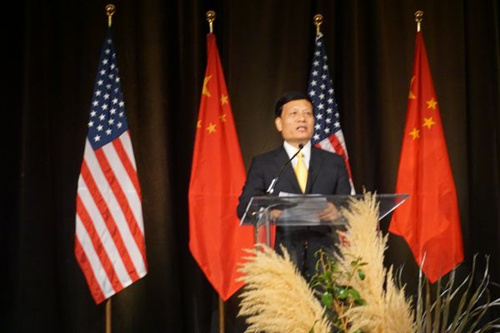 On Sept. 19, CASS President Xie Fuzhan delivered an address entitled "Jointly Creating a Bright Future for Sino-US Relations" at the evening banquet of the China General Chamber of Commerce Chicago Chapter.